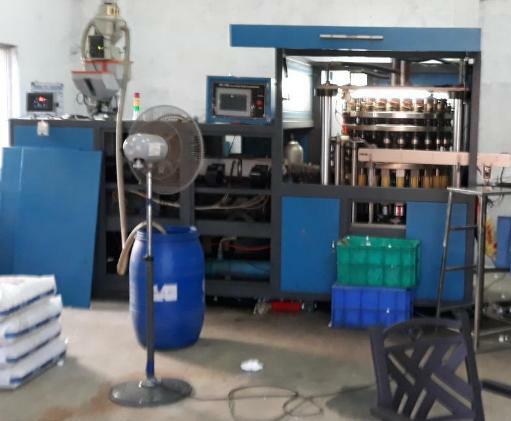 Plastic bottle cap making plant for sale. It has 24 cavity cap compression moulding machine, cap slitting machine, cap folding machine, cap loading machine. Make - Huangyan Minfeng Bottle Cap Machinery China. Year - 2016. Price - Rs. 100 Lacs. We also provide Chicago pneumatic talk mounted air compressor and Wittman chiller along with this machinery. Machine can produce one piece cap 27mm alaska cap. Production speed – 300 caps per minute (18000 caps per hour). Slitting machine with production capacity 300 caps/min. (18000 caps/hour). 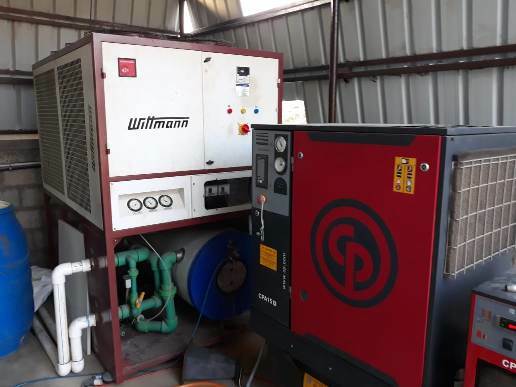 Chiller 10 TR Wittmann. Air compressor HI Tech neumatic. Moton colouring unit. Colour dosing module Moton. Technical state is excellent. Starting power consumption 60 KW/HR, Running power consumption 53 KW/HR.